While this blog is written in light of my overall experience of 14th February as a Pakistani, talking about this year; I observed atmosphere (in Pakistan) via social media and TV Channels. This year, so many people seem to so be busy doing something to celebrate this important/holy day. Special broadcasts were aired by the TV channels receiving loads of messages in which people expressed love for their loved ones. The word Clothing is a very important here if somebody wants to understand. Husband wife personal relationships must be kept secret from others. Clothes keep a “Parda” between you and society and are a mark of Sharm-O-Haya. Word Clothing depicts the fact that Husband and Wife should be Guardian of each other and all ways. Contrary to this, on 14th February we saw needless expression of love over the TV channels where Husband and Wives were openly expressing their feelings. Does this benefit us in any way? Some people say that there is no point opposing these western trends in Pakistan society and we should be enlightened enough to accept what has already been practiced by many. Agreed! all this is a ground reality but if majority is doing it; that does not means its right…We must raise our voices within our capacities to save our culture…I m not talking in the air…’Kalma Tayyab’ written on the face of parliament house and Objectives resolution in our constitution, all these are not a joke; its a reality, better to realize sooner rather than later…Celebrating a day which has nothing to do with our society or culture…nobody to blame for, all involved are responsible in eroding our beautiful culture and traditions! 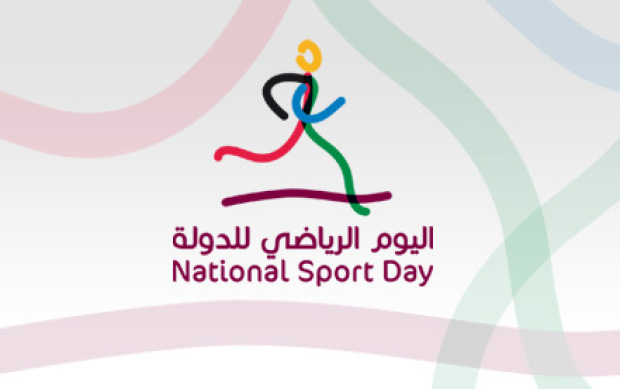 From 2012, Qatar has started to celebrate National Sports day once a year. Every year second Tuesday of February is remarked as Qatar’s national sports day. The main reason is to promote healthy activities among its population, to portray Qatar as a rising and sports loving nation. Today the 11th February, 2014 is Qatar National Sports Day and whole Qatar is observing a National holiday…Well before National Sports day, the environment was created to spread awareness among masses and to encourage them to participate in such activities .Radio and TV Channels were arranging special programs about the sports and sport day to involve common public. Companies started preparing their employees for sports activities and also arranged walking and sports events to make this sports day a huge success. While roaming in the Doha city for the last few days, we saw overwhelming preparation and passions for getting ready for National Sports day. Today in Qatar, numerous sports events have been organized by Govt. and individual companies…Almost every major excursion/outing place including parks and shopping malls is active in one way or the other. People are playing and enjoying their favorite sports, Laughter & Clapping all around…I myself woke up by excessive shouting and giggles of a sports event organized right outside my building. Whether you believe it or not, they were preparing for many months (spending handsome money) shaping up this small playing space. Qatari Govt. is using all its resources to encourage sports and to become a heart of International sporting events…It’s a real treat to see a country taking steps in right direction. MasAllah, may prosperity continues…. Observing all these activities, somebody inside me was recalling the condition of sports and reducing sports grounds in Pakistan where we are used to of holidays due to Hartaal’s and Yaum-e-sog’s and NO SPORTS DAY…I recall my childhood times when my elders used to tell me with pride that Landhi-Korangi in Karachi has the highest number of grounds/sporting space in whole Asia which is an old memory now. In our childhood times, we had many options of playing which are reduced with the passage of time. Now when I visit back home, I see children playing in narrow streets and really can not feel the compassion that we used to enjoy good twenty (20) years back. At national level, we have come down from four(4) world Championships at a time(1994) to nothing in hand Today…We see fights and issues raising in our Olympic Committee which often leave us in embarrassment at world level. Then we see latest jokes happening with Chairman of PCB when our PM is trying to retain Najam Sethi at any cost. We see poor security conditions when no International team wants to visit Pakistan. We see grounds turning into the marriage halls. Are Personal ego, money and commercial benefits supreme than human nurture and National interest? When comparing Qatar and many other such countries trying to emerge as shining names of sports and comparing this with Pakistan. Many of our sportsmen are naturally Talented born stars. We often see stories of people doing odd jobs and all of a sudden they represent and win for Pakistan at International level. The latest instant being the participation of Mohammad Karim in Winter Olypics at Sochi. Karim raised from unfavorable conditions (starting from home made skis) and finally competing at an international sporting event for Pakistan. When you ask their future plans, many of them are unsure because sport is perhaps least priority in Pakistan. Really do not know when Pakistan will stop wasting its natural talent and give due respect to sports. May be after JAMHOORIYAT & AAYEEN KI SARBULANDI sweeps everything!